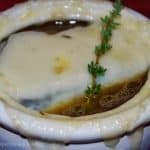 French Onion Soup is a classic soup made with sweet Vidalia onions, beef and chicken broth, cognac and fresh thyme; then topped with melted Swiss cheese will warm the soul. 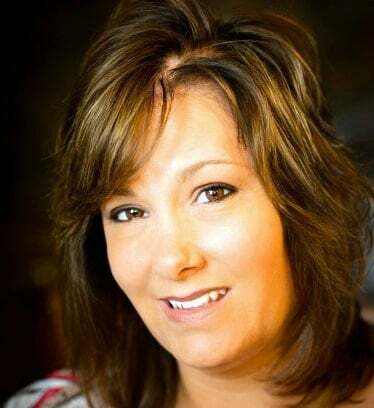 I hope you all enjoyed some of the recipes this week from Carrie’s Experimental Kitchen: A Collection of Mediterranean Inspired Family Meals cookbook. 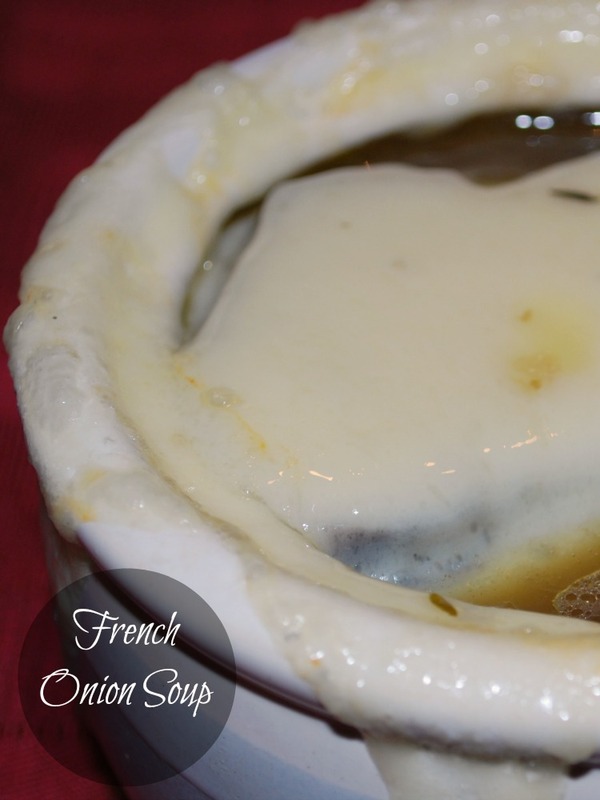 The last recipe I’m going to share with you this week is French Onion Soup. This soup is the perfect treat for a cold, rainy day and being one of my early childhood favorites, it seemed fitting that this be the first soup I ever made. 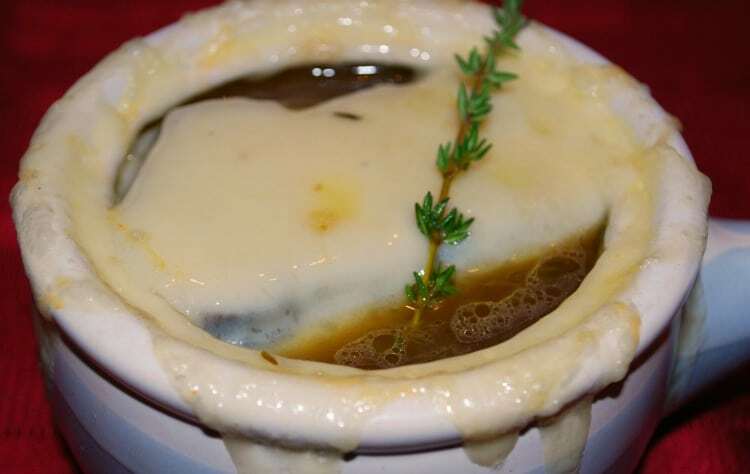 Onion soups have been popular as far back as Roman time; though they were seen as food for poor people, as onions were in abundance and easy to grow. The modern version of this soup didn’t become popular in the United States until the 1960s and is a common menu item at most restaurants. Though there are many variations of this recipe; I prefer to use Cognac along with a combination of both beef and chicken broth. I also like to use Vidalia onions as they are sweeter than the yellow, Spanish, or red onion, but if you can’t find them in season, use one of the other varieties and double the amount sugar in the recipe. Heat a large pot or Dutch oven over medium heat and saute onions in butter until they become soft and caramelized. Add sugar and thyme; mix thoroughly. Next, add beef broth, chicken broth, and cognac and simmer over low heat for 1 hour. While the soup is simmering, slice baguette into six 1-inch rounds and bake at 350 degrees until slightly browned on both sides. Remove from oven and cool. Add soup to soup crocks or oven-safe bowls, place on a baking sheet and top each bowl with a toast round and 2 slices of cheese. Place back in the oven and bake until cheese melts and gets lightly browned. Thankful for health happiness and always family!